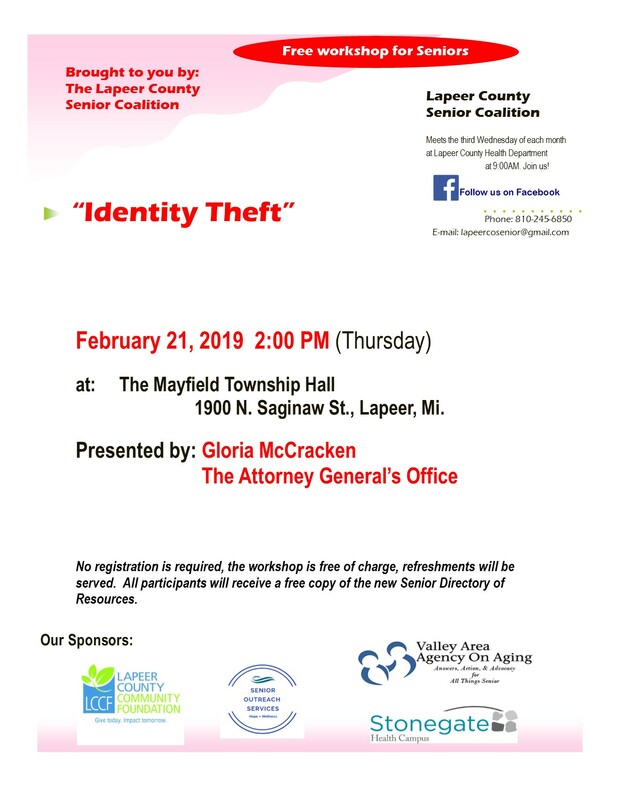 The Lapeer County Senior Coalition is hosting several free workshops starting off the New Year. The first one will be presented by Gloria McCracken from the Attorney Generals office. Admission is free, the presentation about 45 minutes long and will cover the signs of identity theft, how to protect your personal information online and off, and what to do if you become an identity theft victim. For more information contact Connie at 810-245-6850 or lapeercosenior@gmail.com. For more workshops visit us on Facebook.